The Manic Street Preachers are back with this their ninth studio album. That it's reminiscent of their third album 'The Holy Bible' is a reflection of where the songs have come from. All the lyrics were handed over to Nicky Wire by Richey Edwards shortly before he disappeared on the 1st of February 2005. The songs are just as dense as they were on their '94 album with the nagging concern that James Dean Bradfield is struggling to fit all the words into the songs. And yet it works. This is the sound of a band putting their Richey demons to bed. From the opening crunch of 'Peeled Apples' it's an album that doesn't let go. Full of bludgeoning riffs, but also quieter more thoughtful pieces it's their best album since 'Everything Must Go'. 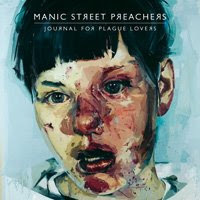 Stand out Tracks 'Jackie Collins Existential Question', 'All is Vanity', and 'Williams Last Words' are up there with the best that the Manics have produced. The album has a distinctly lo-fi feel to it, but this helps to make it sound all the more raw. This could have been such a let down, but the band obviously revere the source material and have done all they can to produce an album that does Edwards words justice.